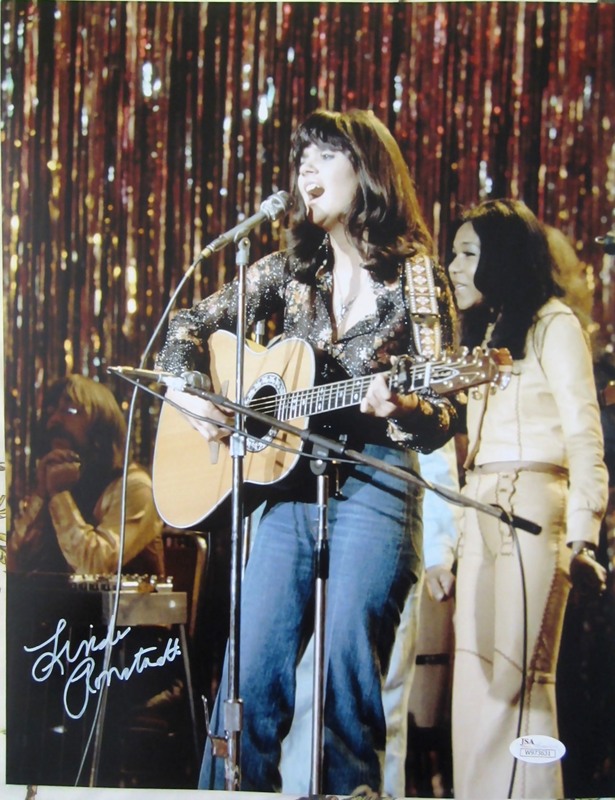 Vintage 11x14 inch photo of legendary pop singer Linda Ronstadt playing acoustic guitar autographed in white paint. From a paid signing witnessed and authenticated by JSA, with their matching numbered sticker and certificate of authenticity card. ONLY ONE LEFT.